Since 1978, Mi Escuelita has helped preschool-age children receive a qualified and enriching education. We are honored to say that for more than 40 years Mi Escuelita has provided an exceptional preschool education experience to thousands of low income families and children in the Dallas community. 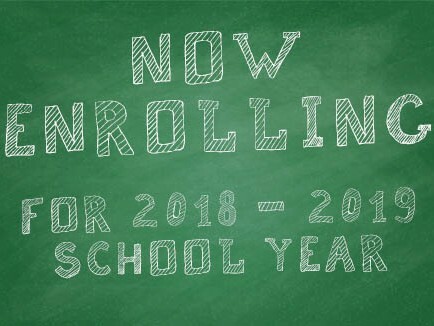 Mi Escuelita’s Early Childhood Education Program provides our children with a foundation of developmental and educational skills that will allow them to take full advantage of educational opportunities and succeed academically. Each year, more than 85% of children graduating from Mi Escuelita qualify to transition directly to English speaking classrooms. 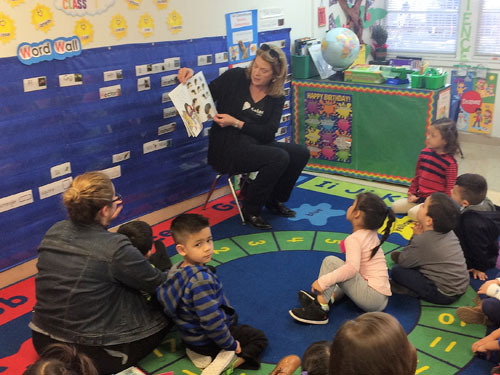 Mi Escuelita is proud to comprise 3 of only 26 NAEYC accredited programs in Dallas. Save the Date – September 27, 2019! 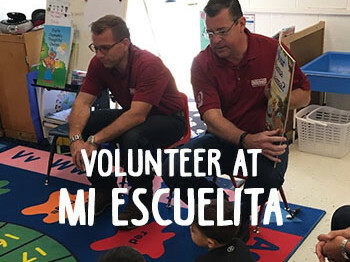 With more than 10,000 hours each year, our volunteers are the lifeblood of Mi Escuelita. 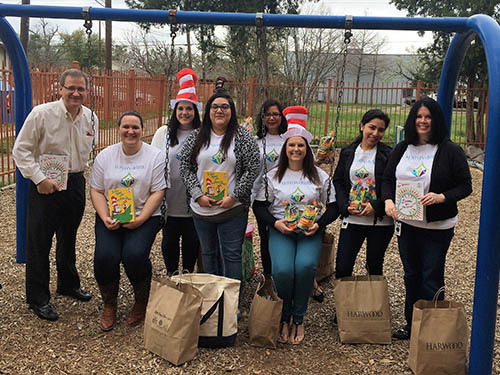 Our volunteers get it done – cleaning, organizing, helping our children, reading to a classroom, helping with homework packets, and so much more. We celebrate our volunteers and the amazing work they do every day. Mi Escuelita has lots of opportunities for volunteering. Both groups and individuals can give time to help our children. Either in the classroom or helping around at the site, your help is greatly appreciated! There are a number of different ways to volunteer here at Mi Escuelita! Many regular volunteers adopt a classroom as a reader or a classroom assistant and form relationships with the children. Some people can’t commit to a regular time, so they volunteer when and as they can. We love groups of volunteers! There are many different ways groups can get involved, but groups often help with celebrations, adopt classrooms, assemble homework packets, beautify our sites and much more!